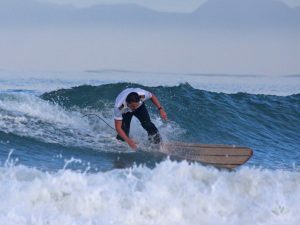 Surfing and flying are both beautiful and challenging pursuits that are best enjoyed in South Africa’s blue skies or our 2500km stretch of coastline. I consider myself quite lucky to be one of the few who pursue both vocations. I was learning how to surf in the same year as learning how to fly and I was achieving my CPL and Flight Instructor Rating while working as a surf coach at the local surf store so naturally I picked up a few rules to stick to in order to ensure a safe outcome. 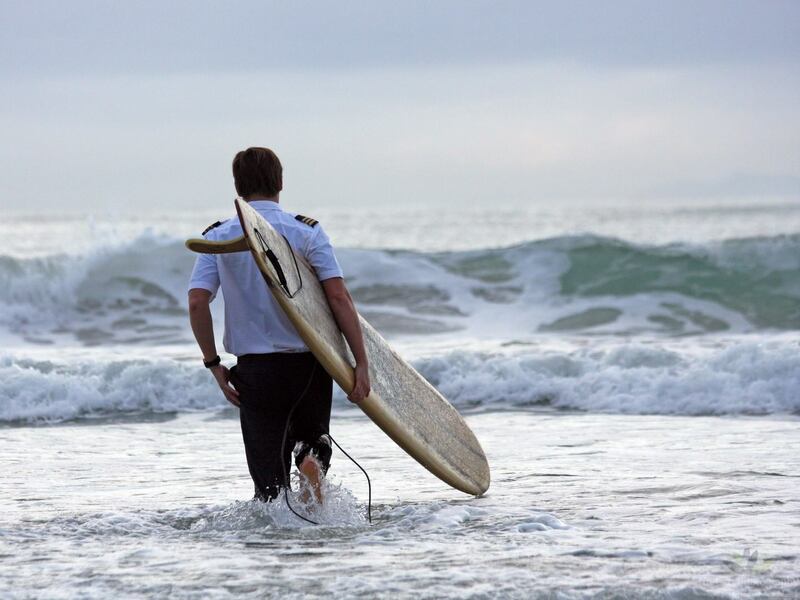 If you ever want to know the weather in detail ask an avid pilot or a frothing surfer. You will get everything from wind direction to pressure variations and of course when the next cold front will hit. As a surfer you don’t want to drive to your favourite secret spot just to find the wind is howling onshore, same applies to driving to the airfield and finding it fogged-in. It is most important to know the trend as well. It is no fun surfing on a beautiful, calm day and between sets you suddenly find yourself in the middle of a storm and struggling against a howling wind and rising swell. This is also where flying goes sour. It may be clear skies when you take off but what about when you return in two hours? Any surfer worth their wax knows what their fitness and skill level will allow them to do. Accidents happen when you take on a wave that is beyond your capabilities. Similar also goes for General Aviation; more often than not when a VFR (Visual Flight Rules) Flight is continued into IMC (Instrument Meteorological Conditions) it has disastrous consequences. 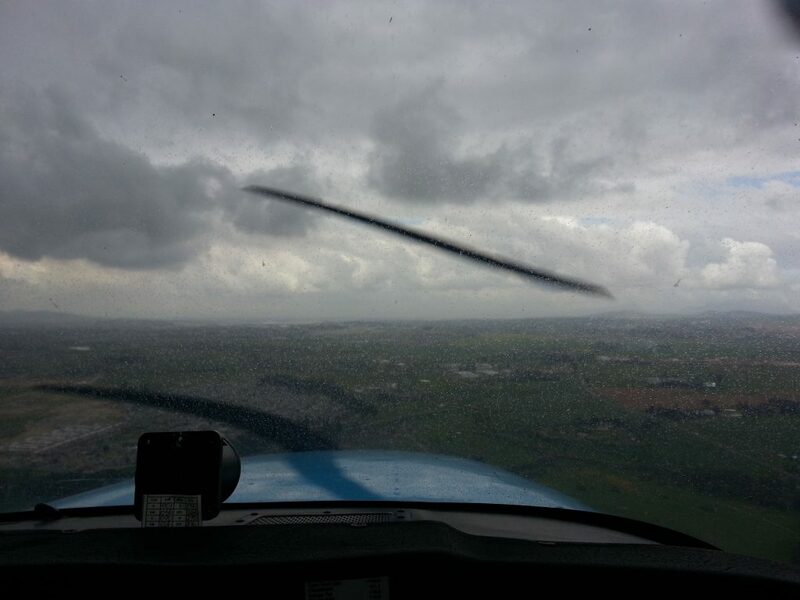 If you don’t have an Instrument Rating, stay out of cloud. Simple. Even you have an instrument rating but you haven’t flown under those conditions for a couple of months you won’t be as “fit” as you think you are and you may find yourself in a situation you cannot handle. Trust me, I have paddled out into eight foot surf after being landlocked for a few months, the result was not pretty. 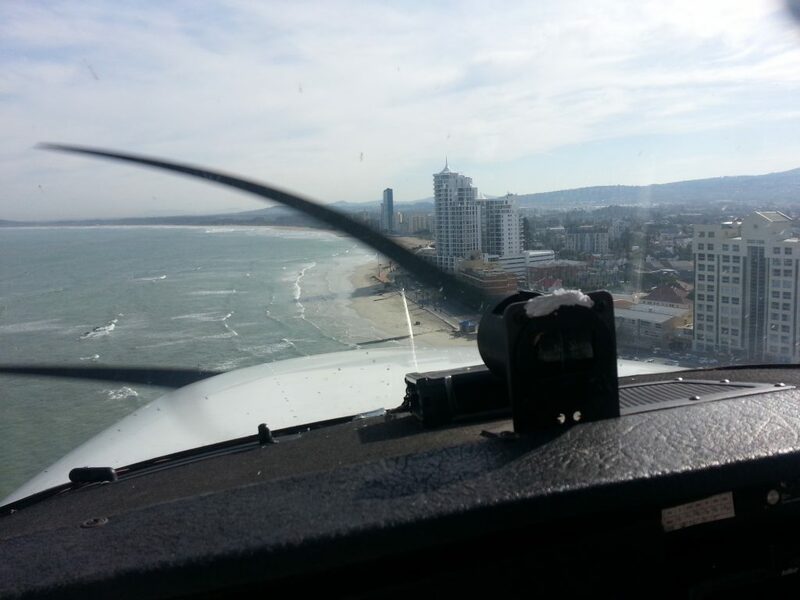 Surfing is uncontrolled as is most of the General Aviation in South Africa. Knowing who has right of way ensures that everyone has a good time and no one gets hurt. A crowded day at the beach is similar to having a lot of aircraft in the landing circuit; if rules are not adhered to tempers will flare and people will get hurt. One has to know the local rules as well; a destination airfield may have odd joining procedures. If you buzz overhead and do a standard procedure you will definitely not make any friends. Do your research for destination surf breaks and airfields. Find out beforehand where to paddle out, what radio frequency they operate on and other necessary items. Many times I have had someone “drop in” on me while surfing, planes taxi onto the runway to line up for takeoff while mine is on final approach and other uneasy incursions. Both these situations are examples of poor air/sportsmanship and could’ve ended badly had I not taken evasive action. Good communication, situational awareness and sticking to the rules will stop these for good. The thing that always will remain in common with the two is the old saying “A bad day surfing/flying is better than the best day at the office.” Just make sure it is a safe day doing either and the saying holds its ground nicely! I could really go on about these two passions for quite a while but I need to go fly (as the surf is flat today).